In 1997, Andy Wakefield, M.D. 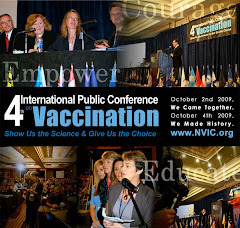 was a guest speaker at the First International Public Conference on Vaccination sponsored by the National Vaccine Information Center in Washington, D.C. The title of his talk was "Measles Virus and Measles Vaccine: Lessons to be Learned" and he made his presentation despite threats from people in high places in the medical profession in Great Britain and elsewhere who warned him his career was on the line. Although Kathi Williams and I assured him we would understand and the audience would understand if he had to withdraw in order to save his career, Dr. Wakefield declined the offer. Refusing to be bullied by those acting more like hit men in a medical mafia than healers, he said "I will not live my life in fear." He believed what he had discovered about measles virus, MMR vaccine, intestinal bowel disease and and autism was something that had to be discussed publicly to prevent more children from being harmed. From the moment Andy Wakefield stood his ground and said "I will not live my life in fear" and then went on to talk with me about how important it was to stand up for the truth even though you risk your life to do it, I knew he was an extraordinary individual. I knew he would make history but pay a terrible price for it. 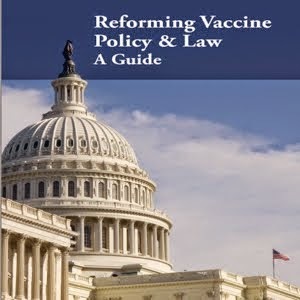 During the past 25 years of work to prevent vaccine injuries and deaths through public education and defend the informed consent ethic, I have seen doctors who tell the truth about vaccine risks be viciously attacked by their colleagues in government, industry and academia. The attacks are both professional and personal and, with surgical precision, the goal is to evisicerate rather than simply stun the victim. It is an ugly process and it has a distinctly Spanish Inquisition flavor to it. Undaunted, Dr. Wakefield has continued to conduct his humanitarian research into the biological mechanisms for MMR vaccine induced neuroimmune dysfunction. Finally, after nearly a decade of persecution for conducting scientific research that questions the scientific and moral integrity of one-size-fits-all mass vaccination policies, Andy Wakefield's accusers are taking him to their own Medical Court. In a final attempt to silence him, they want to take away his medical license and his ability to care for vaccine injured children. A leading London newspaper, The Daily Mail, protested Dr. Wakefield's treatment by the General Medical Council, saying "He had a duty to speak out and now he is being made to suffer for it. His treatment by the GMC is utterly unjust. If this preposterous body had existed 200 years ago, defending the prevailing wisdom against new ideas, doctors would still be treating illnesses by slitting their patients' veins."